The life of the "Killer Clown"
This just may be the first museum exhibit on a killer clown. On Tuesday, the Crime Museum (575 7th St. NW) unveiled a new permanent exhibit on John Wayne Gacy, also known as Pogo the Clown. 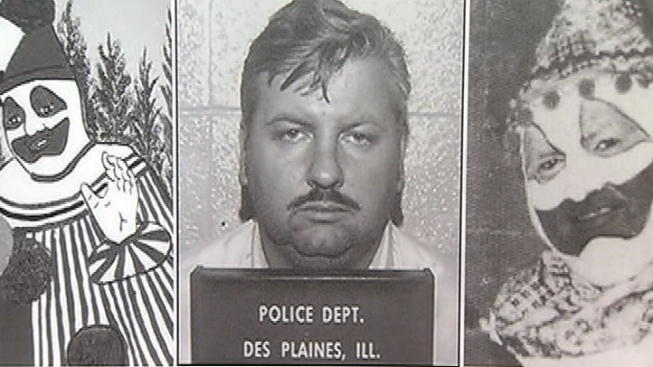 Gacy is known for the portrayal of his alter ego at neighborhood parties and charitable events in the 1970s... and for being found guilty, in March 1980, of murdering 33 people. “John Wayne Gacy changed people’s inherent trust in others,” said Janine Vaccarello, the museum's chief operating officer. “His use of clown suits and magic tricks to gain people’s trust was a unique example of people falling victim to criminals who do not fit the typical profile." According to the museum's crime library, 29 of the victims were discovered in a crawlspace underneath Gacy's home. The exhibit takes guests through a timeline of Gacy's life, up until his conviction. Gacy was executed by lethal injection in May 1994. During his time in prison he painted more than 2,000 disturbing works of art, many depicting human skulls while others were of himself as Pogo. The box of paints he used is just one of the artifacts on display at the museum. Others include his clown suits, typewriter, wallet and leather jacket. The Crime Museum is open seven days a week unless otherwise noted online. You can buy tickets online at a discount, or at the door.